Our company wholeheartedly believes in helping millions of people and while we are a for profit company, we still donate resources, programs and money to our favorite doing-good-in-the-world organizations. Scroll down to learn more! This year, we proudly donated our $25,000 virtual internship program to the Greater Seattle Business Association (GSBA), an organization dedicated to equality for all with emphasis on the LGBT community. 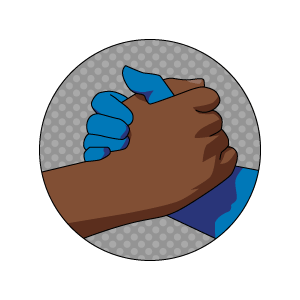 This super organization focuses on providing business development and marketing, connecting communities, and advocating for civil rights through business. Their other superpowers include promoting LGBT tourism through Travel Out Seattle, and investing in the next generation of leaders through the GSBA Scholarship Fund. We are proud to support the Greater Seattle Business Association (GSBA), an organization dedicated for marketing and providing business development for small businesses, connecting communities through business, advocating for civil rights and business, promoting LGBT tourism through Travel Out Seattle and investing in the next generation of leaders through the GSBA Scholarship Fund. We are excited to be part of this endeavor! SuperInterns.com is proud to support The Coalition to Stop Gun Violence (CSGV), an organization with guiding principles who believe all Americans have the right to live in communities free from gun violence. The organization pursues this goal through policy development, strategic engagement, and effective advocacy. Who Benefits from Our Support? Emergency assistance, disaster relief, and education. The largest LGBT and allied chamber of commerce in North America. Decent, affordable housing for people in need. Information and resources to assist with sexual and reproductive health. Tech innovation to fight child sexual exploitation. A bright childhood and future for foster kids. The leading organization in wildlife conservation and endangered species. Preventing gun violence through data-driven policy development.